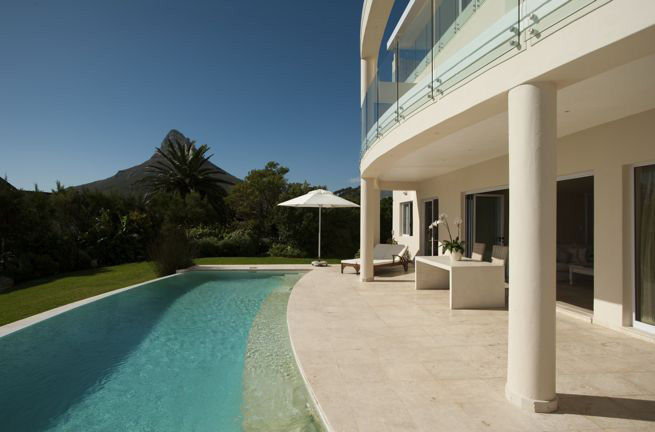 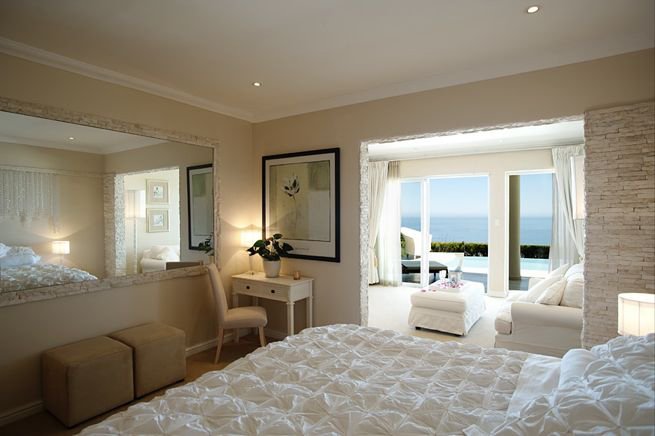 Atlantic Sunsets is a five star luxury villa magnificently positioned in the exclusive suburb of Camps Bay with Camps Bay Beach , excellent restaurants and beautiful walks minutes away. 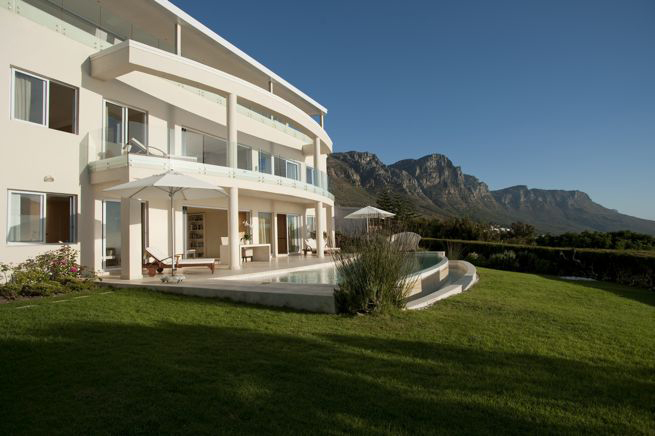 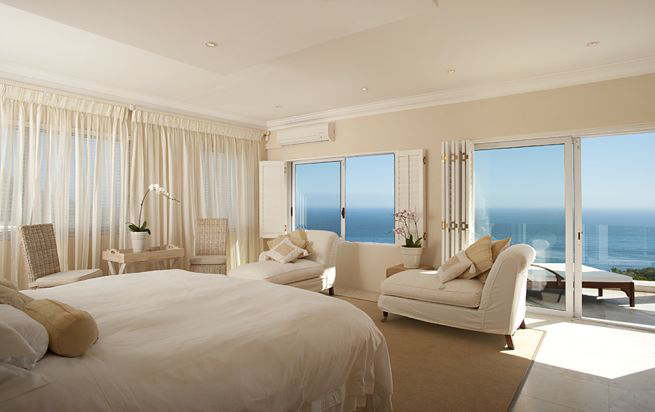 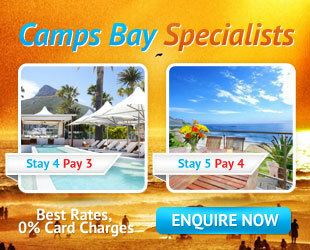 Located at the top of Camps Bay it is the perfect place for those looking for a relaxing and private holiday villa away from the hustle and bustle of Camps Bay but still wanting magnificent sea views and easy still have access to the shops and beaches below. 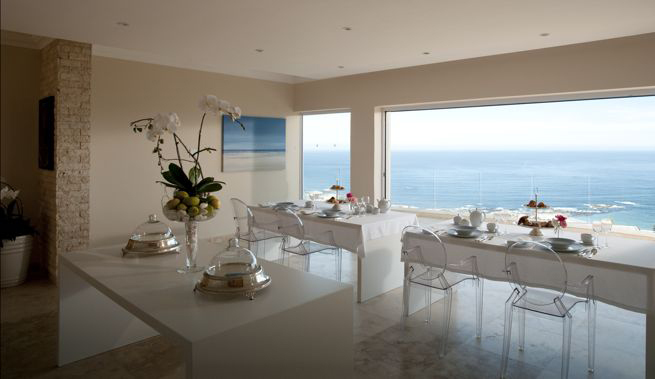 The villa is contemporary and stylish in decor. 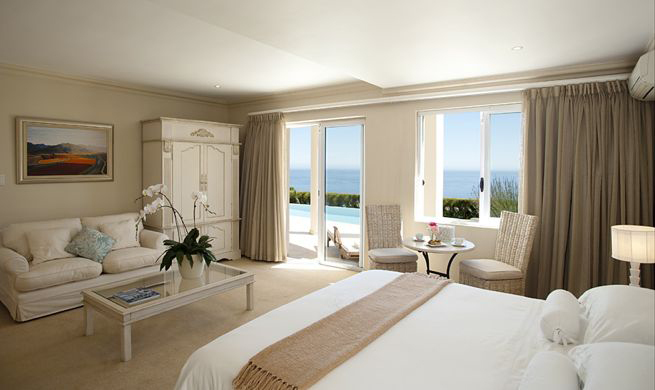 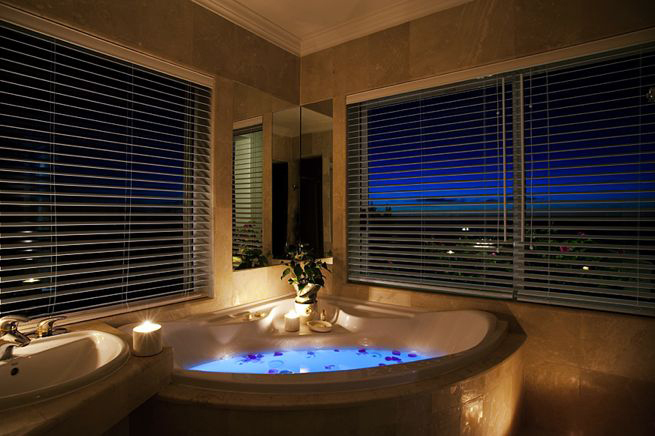 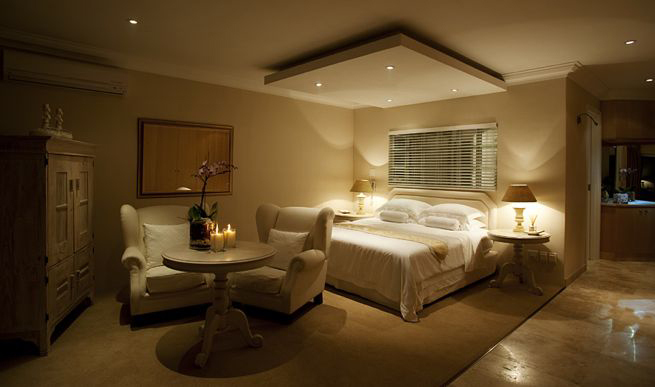 Each room is uniquely spacious and boasts a Jacuzzi spa bath and fantastic sea views . 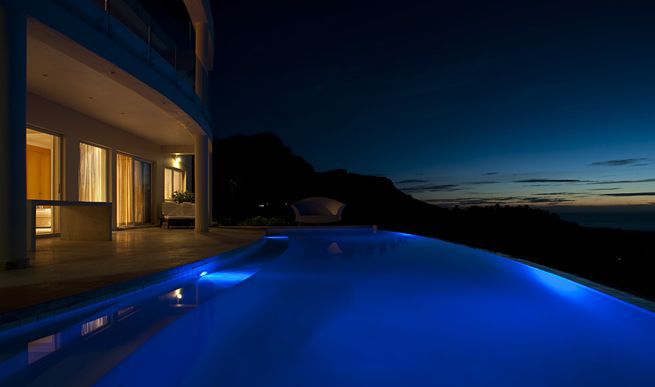 The two luxury rooms on the upper level overlook the uniquely large solar heated rim flow pool whilst the lower luxury rooms both lead onto the pool deck. 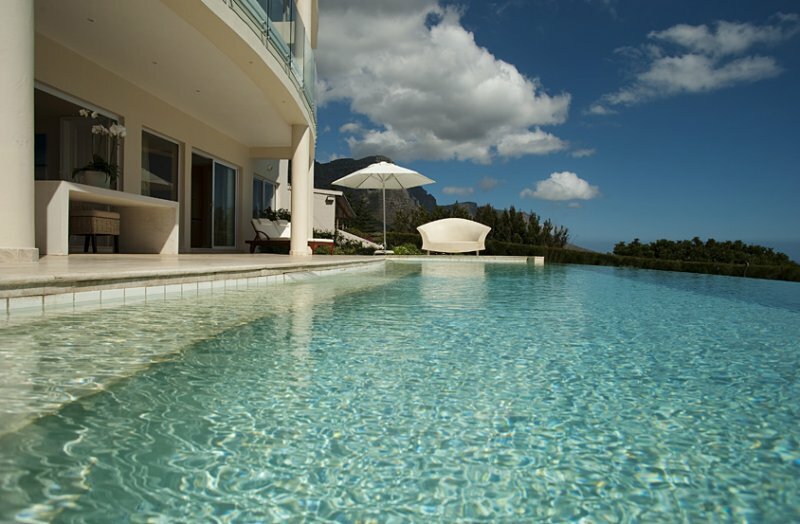 This is the perfect villa for one large family, or four couples. 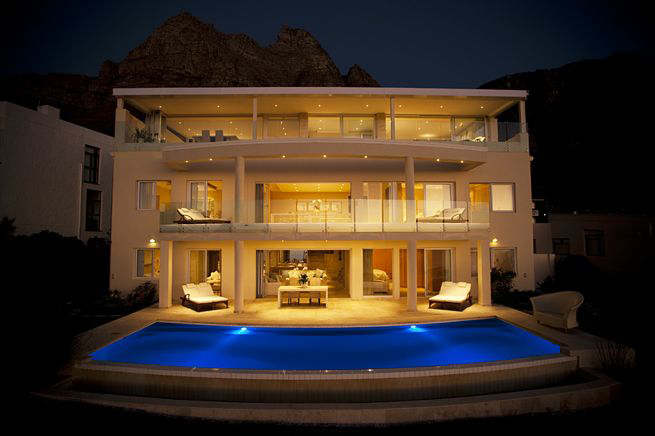 True luxury at its best!